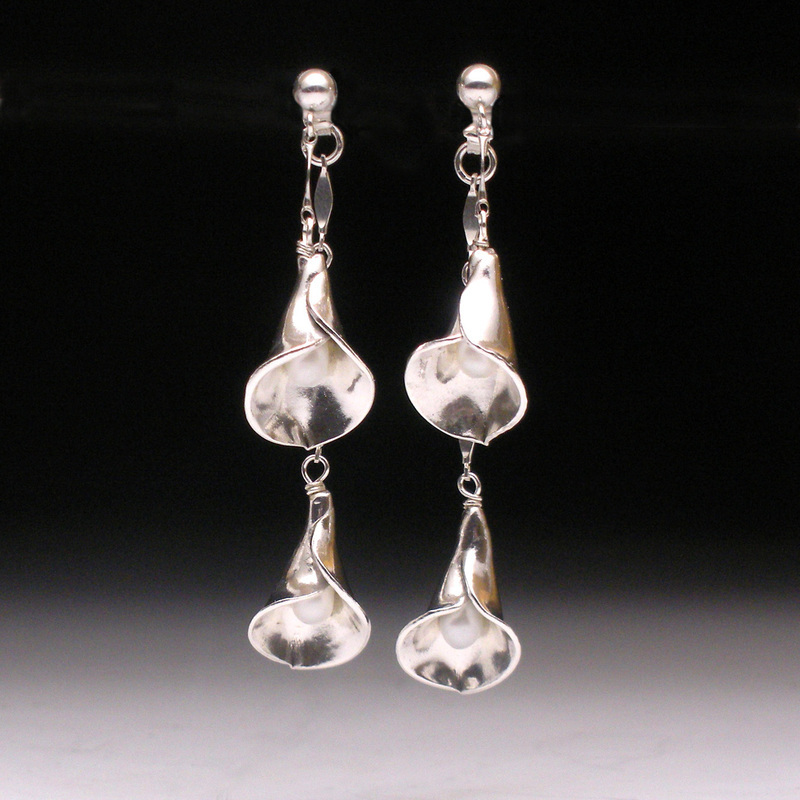 This hand-sculpted fine silver pair of earrings can be worn three different ways! 2. The back with a stud you have at home, such as a pearl post. 3. Together, as pictured for maximum drama!